Monday is here again. 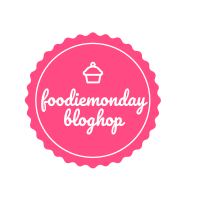 This time the Foodie Monday Blog Hop team has decided the theme no 163 as 'Pumpkin Treats'. Well, pumpkin is one of the widely grown vegetables all over the world. These vegetables are an affordable, healthy choice always. So considering the healthy note, I have prepared a baked snack using the pumpkin as Baked, no-Oil Pumpkin Fritters / Pakoda. Pakoda / Pakora / Bajji / Fritter means some chopped vegetables are mixed with some spices along with besan (chickpea flour) and then deep fried. 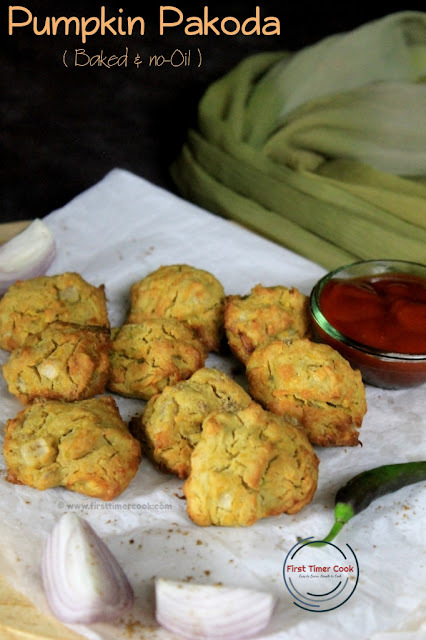 These are one of the most popular snacks across India which is a must during monsoon season. A hot cup of masala chai / simple chai is the best accompaniment to these snacks. But here, I have prepared some pakodas using the main ingredient as Pumpkin. Some grated pumpkins are mixed along with besan and some rice flour. Since these are baked, so I didn't add any oil. 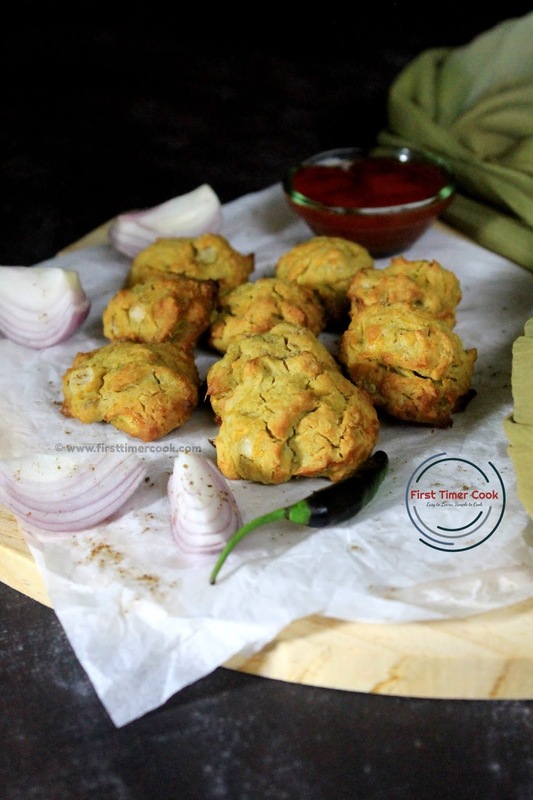 So this pumpkin pakodas are a sure shot hit if you are heading for a healthy snacks. Perfectly opted for party appetizer, even no one can recognize that these are made from the humble vegetable, Pumpkin. These baked, no-oil pumpkin pakodas'll be loved by all age group. Preheat oven at 200 deg C.
In a mixing bowl, take grated pumpkin, finely chopped onion and green chilies, grated ginger, cumin seeds and mix well. Next add rice flour, besan, salt, red chili powder. Combine everything nicely without adding water first. Then slowly add water and make a batter of neither thick nor thin consistency. Now take a baking tray lined with parchment paper. Place 1 tbsp of batter at a time on the tray keeping space in between. Bake for 12-15 minutes first, then just flip the pakodas gently and allow to cook again for 3-4 minutes till the outer surfaces turn slight brown in color. Sprinkle chat masala over the pumpkin pakodas and serve immediately along with tomato sauce or any chutney !!!! Always try to keep the size of pakodas small (around 1 - 1.5 inch) so that these can be easily and quickly cooked. Love to try oil free recipes and these baked pumpkin fritters sound so delicious and healthy Sasmita ! 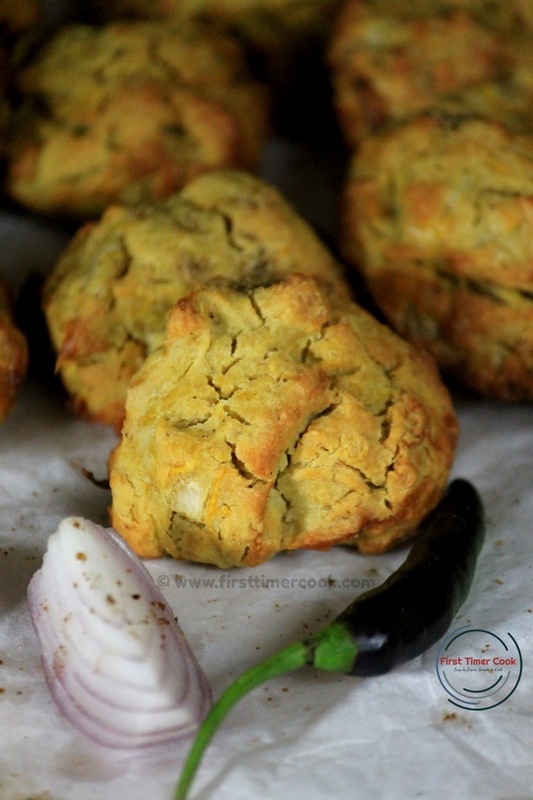 Sasmita, these look so much like a scone but so much more healthier. Love the recipe you have developed for this #pumpkin treat. I will surely try as I get more Pumpkin. This is my kinda food - guilt free yet delicious. Loved the recipe and the fact that you turned pakodas into a baked version. Delicious tea time treat! This recipe is not just interesting and doable, it is also so good to find one more guilt free recipe - baked and not fried. Hadn't thought of making pumpkins into pakoras and this one is a must try. I love pumpkin pakora. But never tried baked virsion. Great idea to make our humble pakora healthy. I am waiting to try after reaching home. Awesome share. Love the no oil recipe Sasmita! Well done! 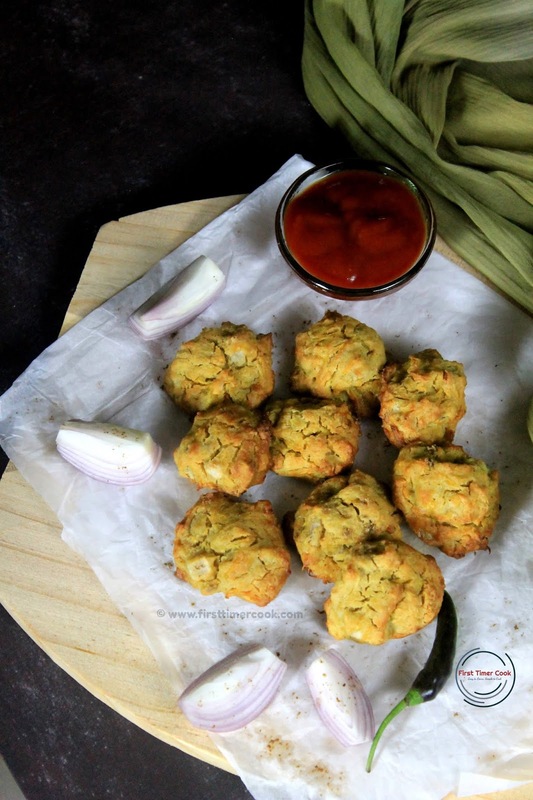 Baked Pumpkin pakodas sounds interesting.Fab idea to use pumpkins.Fantastic share. Wow Sasmita.. baked pakodas.. what an innovative dish. Healthy and delicious Susmita! You surpassed urself!